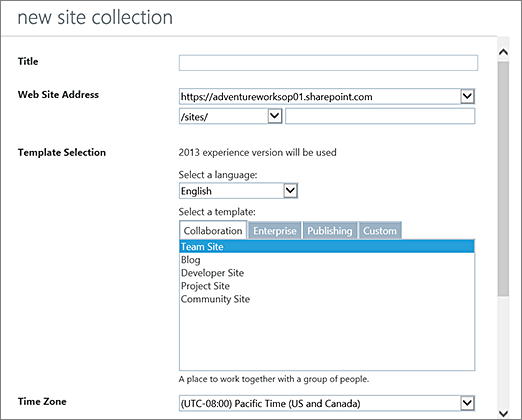 This article describes how global admins and SharePoint admins in Office 365 can create sites (previously called "site collections"). 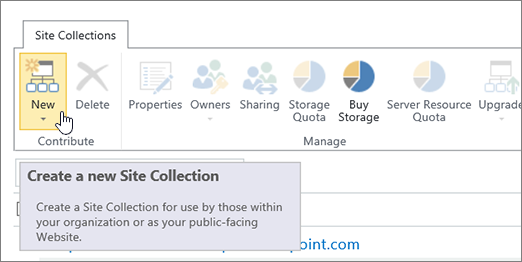 For info about creating site collections in SharePoint Server, see Create a site collection in SharePoint Server. 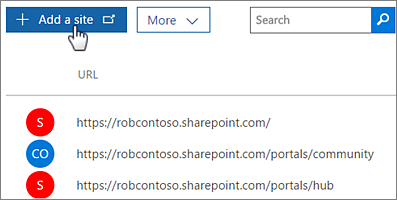 By using the new SharePoint admin center, you can create sites that use one of the new team site or communication site templates. 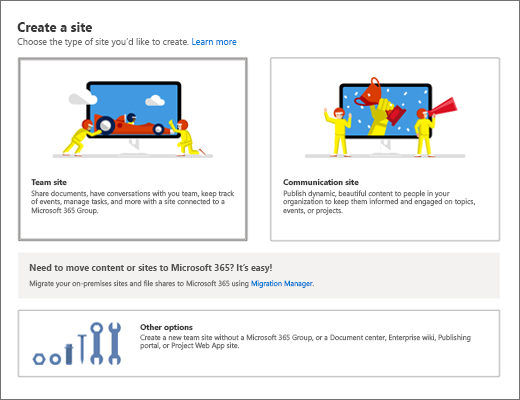 Select Team site (to create an Office 365 group-connected team site), Communication site, or Other options (to create a new team site without an Office 365 group, or to create a classic site). Follow the steps to specify a site name, owner, language, and other settings. When you're done, select Finish. If you want to create a site that uses a classic template, you can do so directly from the Microsoft 365 admin center. In the Title box, enter a name for the site. In the Web Site Address drop-down lists , select a domain name and a URL path—either /sites/ or /teams/ —and then type a URL name for the site. In the Template Selection section, in the Select a language drop-down list, select a language for the site. You can enable the SharePoint multiple language interface on your sites, but the primary language for the site will remain the one you select here. In the Template Selection section, under Select a template, choose the template that most closely describes the purpose of your site. For more information on templates, see Using templates to create different kinds of SharePoint sites. In the Time Zone box, select the time zone that's appropriate for the location of the site. In the Administrator box, type the user name of your site administrator. You can also use the Check Names or Browse button to find a user to make site administrator. In the Storage Quota box, type the number of megabytes (MB) you want to allocate to this site. Do not exceed the available amount that is displayed next to the box. In the Server Resource Quota box, accept the resource quota default. This setting no longer affects the resource amounts available for the site. The new site will appear in the URL list.